Interstate 24 spans the Tennessee River across a steel through arch bridge built in 1974. Photo taken 04/05/13. 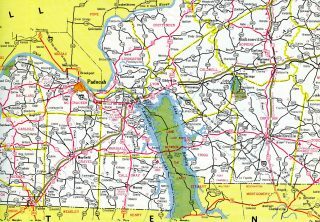 Interstate 24 takes a northwest-southeast orientation through Southern Illinois, Kentucky and Tennessee. The freeway even enters Georgia briefly. Facilitating traffic through Chattanooga, Nashville and Paducah, I-24 also provides a part of a route to more distant destinations such as Atlanta, Chicago and St. Louis. Some signage in Nashville even listed the western control city for Interstate 24 as St. Louis, even though the freeway does not go that far west. Leading south from I-57 to Metropolis in Illinois, I-24 somewhat parallels U.S. 45. U.S. 45 leaves the freeway corridor at Paducah, Kentucky, with U.S. 60 paralleling the route east to Reidland and U.S. 62 to I-69 at Eddyville. 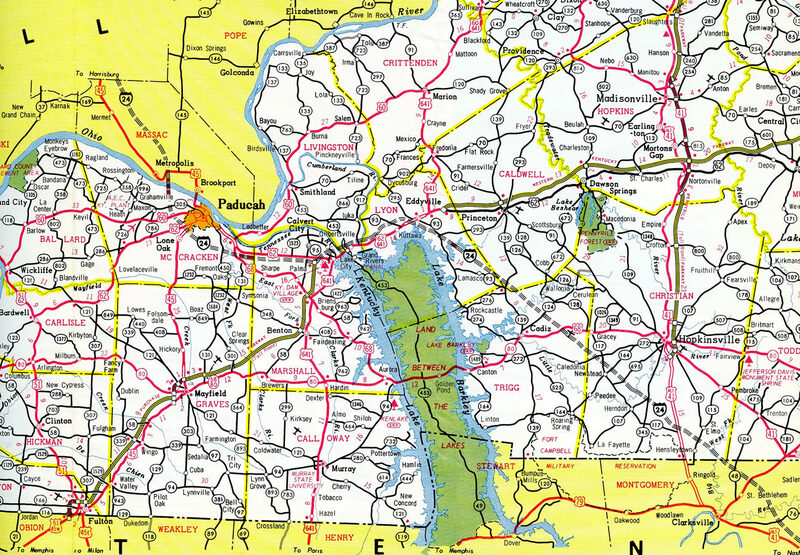 Angling southeast toward Clarksville, I-24 travels solo until the Hopkinsville vicinity, where U.S. 41 Alternate accompanies the route south into Nashville. U.S. 41 and I-24 parallel one another closely from the capital city of Tennessee south to Chattanooga. U.S. 64 and 72 join U.S. 41 as I-24 dips into Georgia as well. Within Nashville, Interstate 24 shares a short overlap with Interstate 65 leading south toward Downtown. 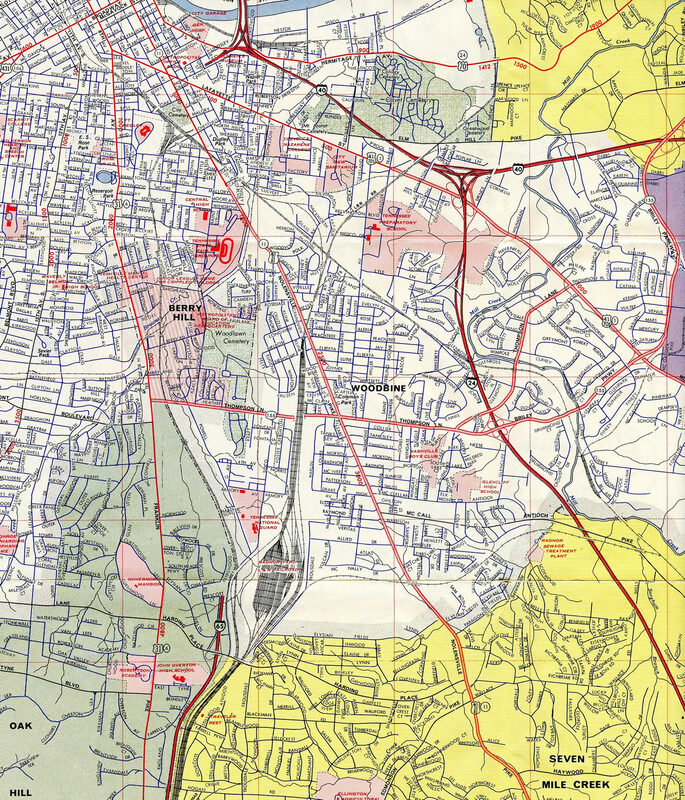 Renumbering of Interstate 265 to I-65 in 2000 shortened the overlap between the two routes in an effort to better partition through traffic around Downtown. Interstate 40 west at the merge with Interstate 24. The two routes overlap for 1.8 miles west. Photo taken April 4, 2013. Very little of Interstate 24 was under construction by 1970 in Kentucky. The National System of Interstate and Defense Highways plan in 1955 only included I-24 between Nashville and Chattanooga. The extension northwest to Illinois was included with the additions approved in October 1957. Interstate 24 ran northwest from La Vergne (Exit 62) to temporarily end on the overlapped section with Interstate 65 at Maplewood (Exit 44) by 1970. Supplemental guide panels on Interstate 24, 1.50 miles out from the terminus with Interstate 75. I-75 north to SR 153 leads motorists to Chattanooga Metropolitan Airport / Lovell Field (CHA). Photo taken by Chris Patriarca (02/01/03). A design-build project will upgrade 4.4 miles of roadway, including I-24 east from South Moore Road to I-75, and I-75 north from I-24 to East Brainerd Road. Redesign of the three-wye interchange at I-24/75 includes relocating left side ramps to the right and improving ramp geometry. Photo taken by Chris Patriarca (02/01/03). Interstate 24 ends as traffic separates for I-75 south to Atlanta, Georgia and I-75 northeast 83 miles to I-40 at Farragut. Photo taken by Chris Patriarca (02/01/03). Interstate 75 southbound widens to four lanes, with two splitting for I-24 west and the continuation south into Georgia. Photo taken by Chris Patriarca (02/01/03). Nearing the southbound Interstate 75 split with Interstate 24 eastbound. Metropolitan Atlanta is approximately 85 miles to the south. Photo taken by Chris Patriarca (02/01/03). The partition on Interstate 75 southbound for Interstate 24 eastbound (Exit 2). Downtown Chattanooga is seven miles to the west. Photo taken by Chris Patriarca (02/01/03). The first interchange of Interstate 75 within the Volunteer State serves U.S. 41 at Exit 1. This northbound photograph shows the Exit 1B loop ramp to U.S. 41 north as Interstate 75 prepares to meet the eastern terminus of Interstate 24 in one mile. Photo taken Chris Patriarca (02/01/03). The State of Tennessee Welcome Center is situated just past the U.S. 41/Exit 1 interchange. Interstate 75 is now within 0.75 miles of Exit 2/Interstate 24 westbound. Photo taken Chris Patriarca (02/01/03). Four northbound Interstate 75 lanes partition into two for Interstate 24 and two for the mainline. Interstate 24 westbound features not only the state capital control city, but also the Interstate 59 control city. The east-west freeway will meet the northern terminus of Interstate 59 eighteen miles to the west. Photo taken Chris Patriarca (02/01/03). Interstate 24 westbound departs for downtown Chattanooga as Interstate 75 northbound begins its northeasterly course to Cleveland and Knoxville. There are four more Chattanooga metro exits along Interstate 75. Photo taken Chris Patriarca (02/01/03). Progressing northwest through Shawnee National Forest, I-24 travels two miles further to Interstate 57. Succeeding overpasses carry a NorfolkSouthern Railroad line and Illinois 37. Illinois 37 parallels I-57 northward to the city of Effingham. Photo taken by Chris Patriarca (07/18/03). An end sign precedes the exchange with Interstate 57 on I-24 west at the Johnson and Williamson County line. Photo taken by Chris Patriarca (07/18/03). One mile ahead of Exit 44 for I-57 south to Cairo and Sikeston, Missouri and I-57 north to Effingham and Mount Vernon. Travelers bound for St. Louis are directed onto I-57 north to Interstate 64 west. Photo taken by Chris Patriarca (07/18/03). The Interstate 24 mainline defaults onto I-57 northbound via Exit 44B ahead. Exit 44A connects with the rural freeway south toward Anna, Mounds and Charleston, Missouri. Photo taken by Chris Patriarca (07/18/03). An end shield appears at the western terminus of Interstate 24, located near Lake Egypt and the community of Pulleys Mill. Photo taken by Richie Kennedy (07/00). Interstate 57 leads motorists north to Marion, Mount Vernon, Effingham and Chicago. Photo taken by Chris Patriarca (07/18/03). Interstate 57 southbound at the split with Interstate 24 east (Exit 44). I-24 angles southeast 46 miles to Paducah, Kentucky. Photo taken by Chris Patriarca (07/18/03). Two-mile guide sign for Interstate 24 east (Exit 44) on I-57 north. The rural route of I-24 connects with the Johnson County seat of Vienna via two of the five interchanges within Illinois. Photo taken by Chris Patriarca (07/18/03). Interstate 57 advances north to within one mile of Interstate 24 east. Photo taken by Chris Patriarca (07/18/03). Exit 44 leaves I-57 north in one half mile for Interstate 24 southeast to Metropolis and Paducah, Kentucky. Photo taken by Chris Patriarca (07/18/03). Interstate 57 northbound at the departure of Exit 44 to Interstate 24 east. The Tennessee capital city is 176 miles to the south. Photo taken by Chris Patriarca (07/18/03). "Long-awaited interstate complete." Williamson Daily News, May 24, 1980. "Carroll to Open Section of Interstate 24 Friday ." Kentucky New Era, September 11, 1975. "Illinois road improvement projects on a priority basis." The Southeast Missourian, March 1, 1975. 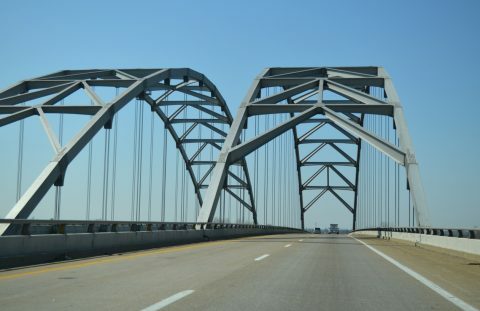 "New crack discovered in I-24 bridge over Ohio at Paducah." Williamson Daily News, May 14, 1980. "Bridge jam to continue over a year ." Williamson Daily News, August 30, 1979. "Light traffic scheduled for I-24 bridge by Oct. 1" The Southeast Missourian, August 8, 1980. 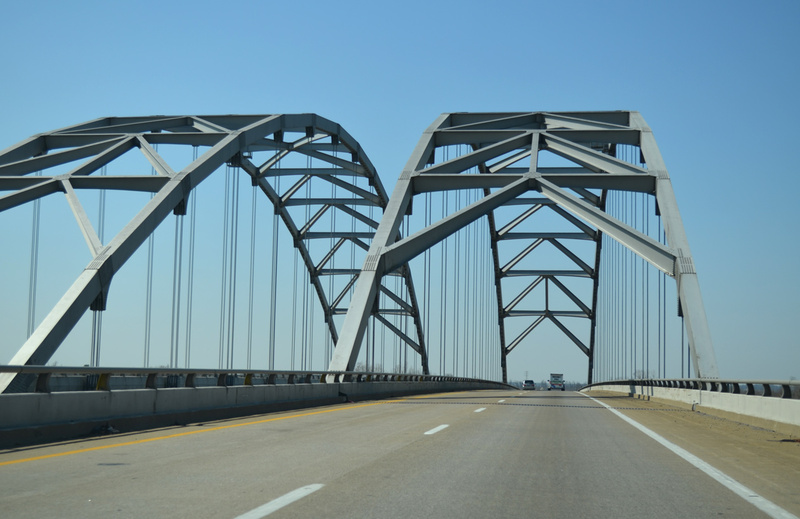 "Southern Illinois highways will continue to grow." The Southeast Missourian, February 28, 1976. Tennessee’s Interstate System – Facts About Tennessee’s Interstate System 50th Anniversary, 1956-2006. http://www.tdot.state.tn.us/interstateinfo/Tnfacts.htm Tennessee Department of Transportation. “Re: Routing of I-24 around Monteagle, TN” online posting by RoadWarrior56, AARoads Forum, September 25, 2010. 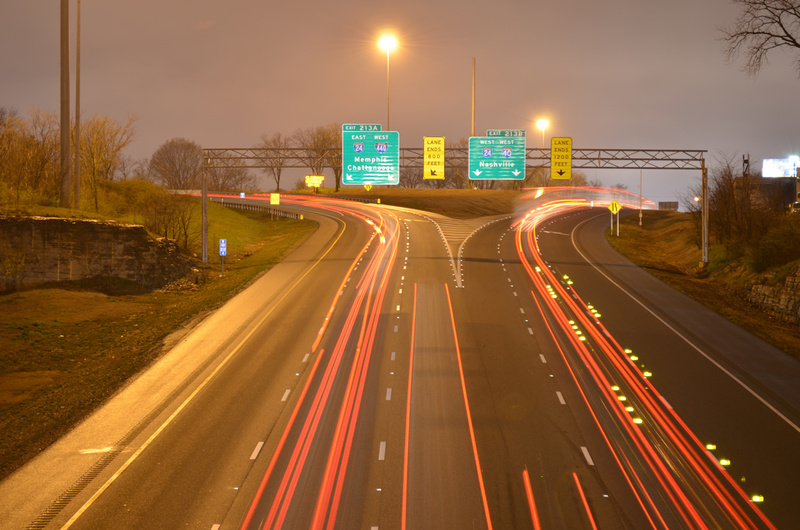 "50 years later … Interstate network transformed U.S. transportation system." Chattanooga Times Free Press, June 29, 2006. Page updated November 14, 2015.